Sporting Trials (sometimes known as "mud plugging") is one of the oldest recognised motor sports in the UK. 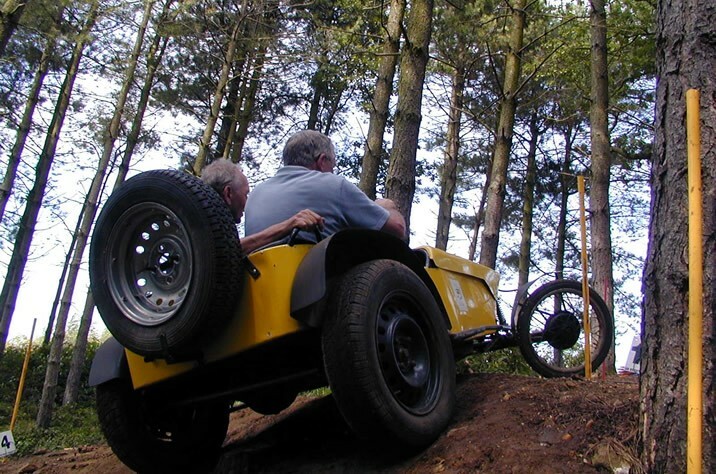 The idea is to get the trials car as far up a steep and muddy slope as possible, negotiating tight turns and an undulating terrain, whilst making sure that the car does not stop going in a forward motion at any point. To achieve this the main ingredient is not speed but skill and co-ordination. With the natural ability of the car taken for granted and with our instructor sitting beside you, it will not be long before that seemingly impossible climb may be achieved. For more information about historic sporting trials visit the Historic Sporting Trials Association website.